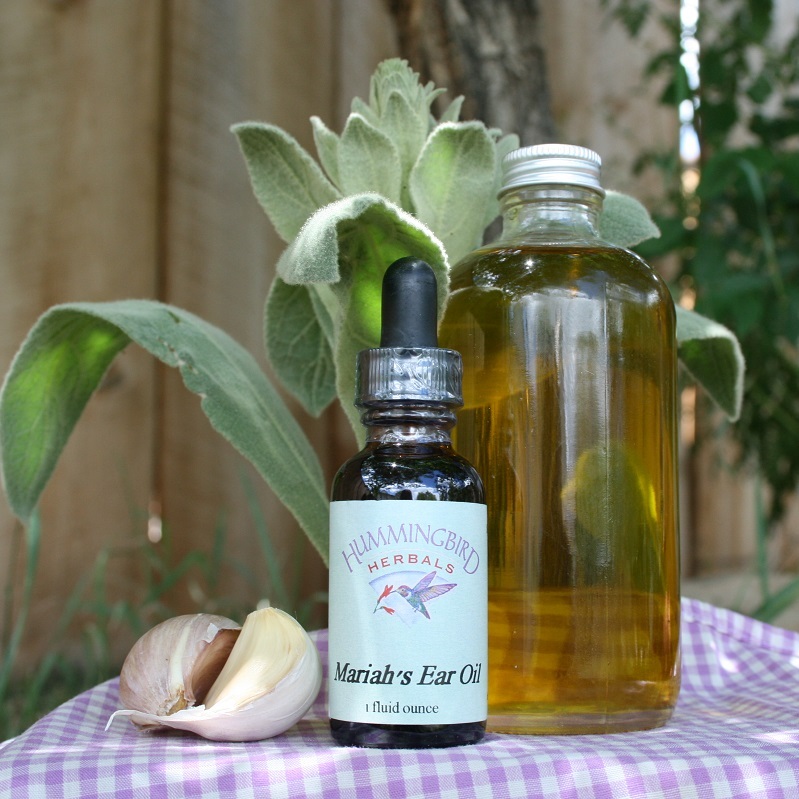 Created by Melanie Rose for her niece’s earaches, this healing oil decreases pain and fights infection when used topically in the ear. Mullein flowers, Garlic and St. John’s Wort in extra virgin olive oil with vitamin E. 1 oz. bottle with dropper.